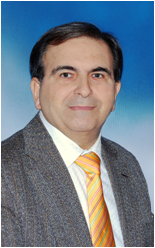 Nikitas A. Assimakopoulos is a Professor in the Department of Informatics at the University of Piraeus, Greece. His research interests include Systemic Methodologies, Systems Approaches to Management and Informatics, and Applied Operations Research Techniques. He has lectured at Chelsea College, University of London, England, and at the Athens University of Economics and Business, Greece. Dr. Assimakopoulos was a consultant of the British Post Office and the Agricultural Bank of Greece. He holds the professional title FOR of the British Operational Research Society. He has published over 150 papers in refereed journals, 120 papers in conference proceedings and has participated in over 130 conferences with papers. He is Associate Editor in five international journals and reviewer in 12 well-known journals which are associated with the four International Societies where he serves as an active member. He is the founder and the Editor-in-Chief of the Journal of Applied Systemic Studies (IJASS) published by Inderscience Publishers. He has developed the Design and Control Systemic Methodology (DCSYM) and the STIMEVIS multi-systemic methodology. He is frequently invited to give talks at national and international conferences and research organizations. Dr. Assimakopoulos is the founder and elected President of the Hellenic Society for Systemic Studies (HSSS) [http://www.hsss.gr]. He is the founder and the coordinator of the first international Post-Graduate Professional Program Certified Systemic Analyst Professional (CSAP) [http://www.csap.gr/] which is supported by the HSSS. Department of Informatics, University of Piraeus, 80, Karaoli & Dimitriou St., GR-18534, Piraeus, Greece. MSI Hellas Consulting Group, Irakleous 2, GR-11743 Athens, Greece. Dimitrios S. Varsos holds a Bachelor’s Degree in Business Administration and is currently a Ph.D. candidate at the Department of Informatics of the University of Piraeus. He received his Master’s Degree in Organization and Management, concentrating in Industrial Technical Management. He is the co-founder and Managing Director of MSI Hellas Consulting Group. His work in research, consulting and education involves more than 120 corporations and governmental agencies in Europe, the U.S. and Russia. His research areas of interest include systems theory, complex adaptive systems, organizational theory, systemic methodologies, systems modeling and simulation. 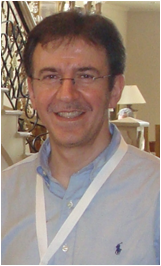 Mr. Varsos is a Member of the Board of Directors of the Hellenic Society for Systemic Studies (HSSS) and a lecturer in the Post-Graduate Professional Program Certified Systemic Analyst Professional (CSAP). The world economy has entered a new paradigm. Financial markets, economic institutions, and public & private organizations operate in a multifaceted environment with obscure boundaries. Developments in one sector of the economy have profound implications in what seem to be unrelated fields, clear across the globe. Yet most modern organizations continue to rely on simplification rather than holistic treatment of complexity. They tend to embrace a single perspective and direct attention to the symptoms rather than the underlying processes which are responsible for the manifestation of the symptoms in the first place. Synthetic treatment of accumulated knowledge provides an understanding of the processes which are responsible for emerging behaviors that are difficult to address with traditional analytical thinking: reducing the whole into its constituent parts; understanding each part separately; and aggregating understanding of the parts, into an understanding of the whole. Professional Systemics serves as the platform on which the modern organization or business can integrate a systems approach into its management paradigm and the means through which to balance short-term objectives with long term benefits, reinforcing the organization’s viability. The vast majority of organizations are designed and managed through analytical methods in the context of a reductionist approach. Given the dynamic complexity of today’s business environment, application of the reductionist method typically results in the loss of the essential properties of both the system managed as well as its constituent elements. Hence, decisions lack cohesion, and policy-makers, the ability to consistently align activities to effectively achieve long-term strategic objectives. Understanding the relationships between the various elements comprising our modern world yields an appreciation for the importance of framing convoluted conditions which lack a clear problem definition, in a manner which accommodates for the pluralistic differences of the participants’ prevailing perceptions. Systemic treatment of today’s challenges is not only necessary in addressing these challenges, but a prerequisite for a viable future. In ancient Greece, Aristotle recognized that the whole is greater than the sum of its parts, which is the essence of emergence: behavior of the whole arising out of the multiplicity of relatively simple dynamic interactions of the parts, which is not apparent through the study of the isolated parts. In the Republic, in a dialog between Glaucon and Socrates, Plato illustrates that liberation from the confines of dominant mental models requires one to challenge popular perception to a degree which may threaten personal comfort and well-being. Challenging prevailing paradigms and superstition led the Greeks to develop democracy, philosophy, mathematics, medicine, architecture, the arts and so many other disciplines, which have shaped western thought since its inception. What fascinates you about “Professional systemics”? In your own words: Why should people go there? Professional Systemics is the practical application of systems thinking into everyday situations. It is a means through which to manage complexity in a manner which has achievable, measurable and realistic results. Professional Systemics is a disciplined approach which rests on three main elements: Education, Empowerment and Experience. In this context, Education can be expressed as the formal instruction given to the practitioner designed to develop the skills and techniques of systemic methodologies and specialized subjects which are important to cultivate the power of reasoning and judgment required for a particular job or activity. Empowerment can be expressed as the result of human resource development and training. Human resource development is the framework for encouraging the practitioner to develop a sentimental mentality and the core competencies which are important in applying the theoretical knowledge required for a particular job or activity. Training is the structured hands-on application of theoretical knowledge aimed at improving the practitioner’s performance which is instrumental in attaining a required level of competence or skill. Finally, experience, is gained through the continued execution of the job or activity embracing a systems approach, which elevates the educated, empowered individual from being a practitioner to becoming a master of his trait.